Marijuana grow tents are an alternative to growing in a hard-structure bedroom or other room. 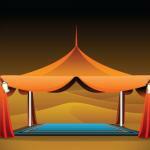 Marijuana grow tents are more profitable than camping tents! Hydroponics nutrients pioneer Michael Straumietis (founder of Advanced Nutrients) has studied grow rooms, grow tents, grow houses, and grow warehouses during his three-decades career as a hydroponics gardener and businessman. He says marijuana grow tents are a smart choice for people who don’t want to alter structures such as walls, ceilings, and windows. Straumietis points out that marijuana grow tents are set up to support grow lights, carbon filtration, C02 augmentation, ventilation, electricity supply, aeration, and security. What do you get from the best cannabis grow tents? Look for highly-reflective interior walls, strong, modular framing, stealth zippers, built-in exhaust fans, lighting, C02 and filtration equipment, and non-toxic materials, he says. Marijuana grow tents are usually square or rectangular structures. The tallest ones are expandable models that can top out at 10-12 feet high. Some grow tents are small enough to fit in a closet. Straumietis says marijuana growers have complained that some brands of grow tents are made with toxic materials that off-gas poisons. These poisons may be contained in tent materials, or in irrigation tubing. When toxic materials are exposed to heat and/or water, the toxins exit the materials and enter your marijuana plants, negatively impacting cannabis plants, growers, and marijuana consumer’s health. Before you buy a grow tent or grow chamber, be sure to inquire from the retailer and the manufacturer about materials used, and whether there could be a problem with toxicity. You get what you pay for, Straumietis advises. The cheaper the grow tent, the less likely it is to have sturdy supports, well-made seams, light-proof, easy-use zippers and ports, safe materials, and reliable components. Another thing to look out for if the marijuana grow tent comes equipped with hydroponics lighting is: what kind of lighting is it? Cannabis grow tent manufacturers recognize the problem with heat build-up inside a small enclosed space. You could get a simple tent for as little as $100, but it’s likely to have inferior materials, sketchy construction, and no included fans, lights or other gear. There are at least a dozen manufacturers making grow tents sold in hydroponics stores or online sellers like Amazon.com. Sturdy frame and holder bars that can hold at least 100 pounds worth of lights and other gear, if not much more. Pouches and pockets to hold meters, trimmers, and other small tools and materials. A reliable warranty and professional customer service. Video tutorials, and other tech support, especially for setting up. Hammered Mylar for super-reflectivity, and off-gassing prevention. Our grower team has used all the major brands of marijuana grow tents in all price points. Our favorite manufacturer is Secret Jardin, with Gorilla a close second. Secret Jardin is the only marijuana grow tents manufacturer giving you detailed video and written explanations of all the configurations for ducting, lighting, vent fans, and other hardware you need to run a climate-controlled marijuana grow tent. Take a look at their YouTube channel, and you’ll see what we mean. We also appreciate the creativity Secret Jardin has put into its product line. For example, they have an elliptical dome tent, specialized for drying buds, and for smaller tents for propagating. Even though the company is located in Belgium so there’s a big time zone difference, the Secret Jardin people are fast and complete in how they help you understand their products and how to use them. I can’t say the same for other grow tent companies. Other companies, like Gorilla, make good products, but when we ask them for detailed schematics and other data so we knew the range of exhaust fans, ducting, and other hardware that would work best in specific tent sizes, they weren’t helpful at all. We wish that Secret Jardin or Gorilla would make a true plug and play system, similar to this one, but with a higher quality tent and components. 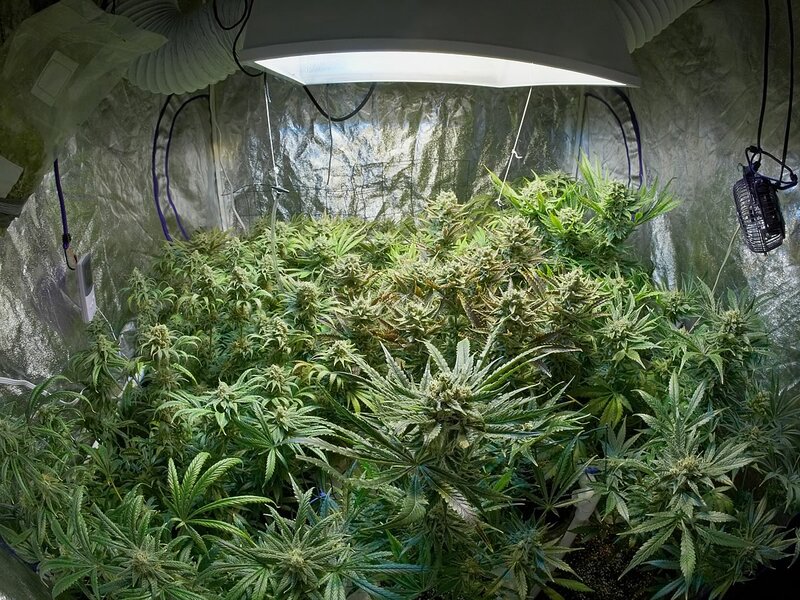 Making the right grow tent lighting choices are crucial for your success. Many marijuana grow tents users go for LED, instead of HID lighting. 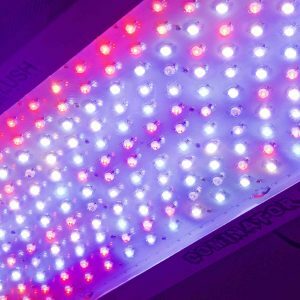 Secret Jardin created auxiliary LED lighting that works well for clones, seedlings, and very small sea of green or SCROG gardens. However for large marijuana grow tents, your best bet is to use Lush Lighting LED grow lights. These are the only LED grow lights we’ve found that can equal or exceed the performance of HID lighting, including high pressure sodium lights. Read our series of articles on Lush Lighting right here. If you’re looking at marijuana grow tents, you’ll also want to look at our past articles on getting bigger marijuana yields from small grow spaces.